Watch Moment Vice President Osibanjo Was Pulled Out Of Crashed Chopper In Kabba - AutoReportNG "AutoReportNG-The No 1 Car Blog In Nigeria That You Can Trust - AutoReportNG"
Nigeria has cause to thank God that the nation is not mourning and the Vice President is alive, well and healthy. 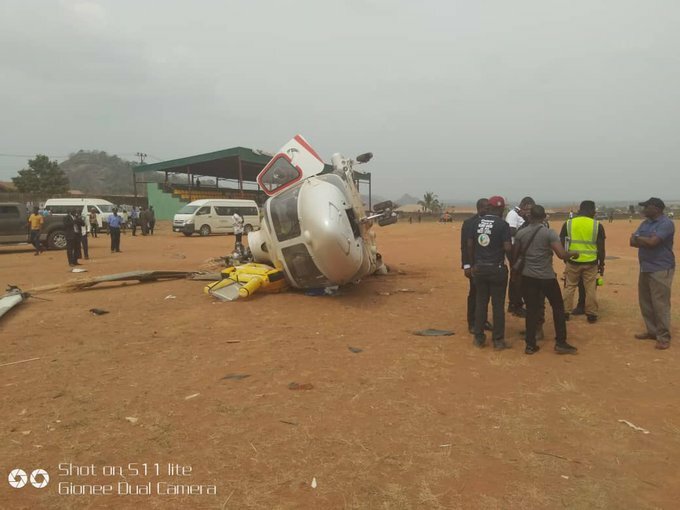 The chopper conveying the vice president crashed landed today at Kabba and its not a good story to tell. The moment was captured live as the VP was dragged out of the crashed chopper, it takes a strong man to still move about.